For example, if you are looking to target the Hispanic population, the fastest growing demographic in the United States, you may want to target the Fiesta Broadway in New York City and/or Calle Ocho in South Florida. Furthermore, you should consider flying over cities with higher Hispanic populations, such as El Paso, Texas. If you haven’t already, you should consider conducting zip code and market research before your campaign launch to ensure that your aerial ad will reach the right crowd. Regional, national, and local advertisers often utilize aerial media to kick off a new product or campaign, or complement and existing one. There are a multitude of creative options when it comes to creating an impactful aerial message. The most important thing for you to remember is that aerial media allows your brand to break free from the clutter on the ground below, reaching your target audience during their favorite experiences. This step goes hand in hand with step one. By clearly outlining your campaign goals, you will have the tools you need to pick the most impactful form of aerial media for your campaign. Aerial banners are a highly-effective, cost-conscious way to create implied sponsorship above the biggest events of the year. Their ability to target entire zip codes with one flight makes them a great tool for regional advertisers looking to connect with their local geographic audience. Large format aerial billboard’s versatility is also a plus for marketers wanting to target a variety of events on a national scale. 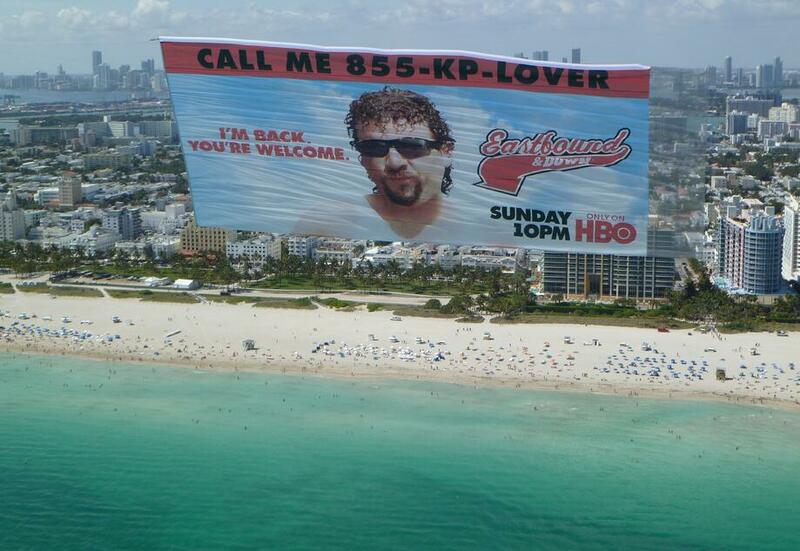 Once created, your aerial banner can be flown in multiple markets across the country. Unlike a traditional billboard, aerial billboards can be flown over and over again ensuring that you will get maximum impressions and the ROI you are looking for. Van Wagner Aerial Media flies the largest, strongest, and most-vibrant aerial billboards in the industry. Visit our aerial banners page to learn more about sizing and other creative options. Capable of captivating thousands of people at one time, sky writing and sky typing are ultra-creative options for brands interested in creating buzz around a particular product or event. Sky writing, is when a pilot twists and turns a plane in a variety of loops, while emitting environmentally-friendly smoke, to create a word or simple image. Sky writing works well with short, succinct messages and can last approximately 1 to 2 minutes long. Similar to sky writing, sky typing uses five to six planes, flying in formation while emitting small spurts of smoke in a dot matrix. The matrix eventually creates a short, precise message. Typically messages are around 30 characters long and can measure 6 miles in length. Eye-catching and captivating to consumers on the ground below, sky typing is often used to create viral attention around a particular brand. If you are looking to amplify your brand awareness on a national or global scale, blimp advertising is a good choice for you. Airships are far more than just floating billboards, they are the most iconic and impactful advertising medium in the world. Capable of reaching millions of people from the sky above, blimps dominate any event, creating PR and social media buzz wherever they go. Airship campaigns typically last a minimum of three months, but to ensure that your brand is getting the most of your airship campaign, we recommend flying for a minimum of a year. Flying day or night, your airship will connect with consumers in a whole new way and will cement your brand as a household name. Van Wagner Airship Group owns and operates the vast majority of advertising blimps in the world. Our spectacular LED signage, available on select airships, is changing the way advertisers look at blimps. Technological advancements and improvements in TV broadcast integration maintain airships presence as big players in the advertising world. Once you have outlined your marketing goals and picked your aerial advertising platform, you need to evaluate which events and areas are best to fly for your brand. Sporting events, beaches, and music festivals are all popular options for brands looking to reach a high percentage of consumers in just one flight. Looking to target college students or millennials with your marketing campaign? NCAA games and music festivals such as Coachella, SXSW, and Ultra Music Festival are prime opportunities. Is your marketing campaign geared toward targeting high net worth individuals? You should consider flying events like Art Basal in Miami, or affluent beaches such as the Hamptons in New York and Malibu Beach, CA. No matter your target audience, aerial advertising can reach your consumer base with impact. Consumers of all ages and races are tired of the continuous bombardment of different forms of media—TV ads, digital advertising, etc. Aerial advertising delivers your brand’s message in an eye-catching and refreshing way. Your ad will literally own the sky! When designing your aerial ad’s creative, there’s one main rule—keep it simple! Make sure your ad makes a clear statement about your brand; you want consumers to be able to identify your brand as the main focal point of the ad within just a couple of seconds. Keep your copy short. Anything above seven words is considered lengthy when it comes to aerial media. In regards to imagery, make sure you pick bright bold colors that will pop against the sky above. You wouldn’t want your ad to disappear into the clouds. 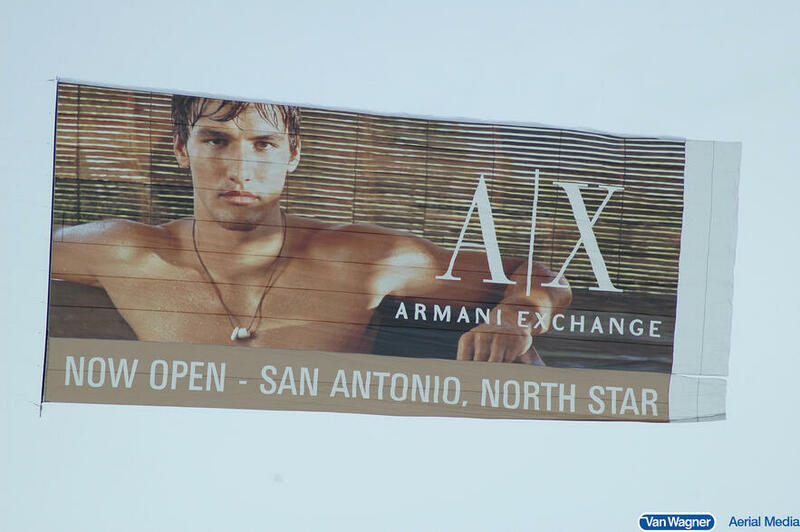 There are a variety of different creative options when it comes to aerial billboards. One of the most unique aerial billboards is the die-cut. This eye-catching option puts your creative on a clear background making it seem like your mascot or copy is simply floating through the air on its own. Lastly, depending on your brand, consider incorporating humor. One of the best ways to create buzz is to put a smile on people’s face. Consumers love sharing what makes them laugh on social media, and there is nothing better than word-of-mouth marketing. When designing your banner, think about what will make people want to share this experience with their friends and family. For more great tips, check out 4 Top Examples Of Aerial Advertising From Van Wagner’s Hall Of Fame. When it’s time to fly, make sure you have partnered with an aerial media company that provides proof-of-performance fight tracking. You will want to make sure that your banner is flying at the right times over the areas you have selected. 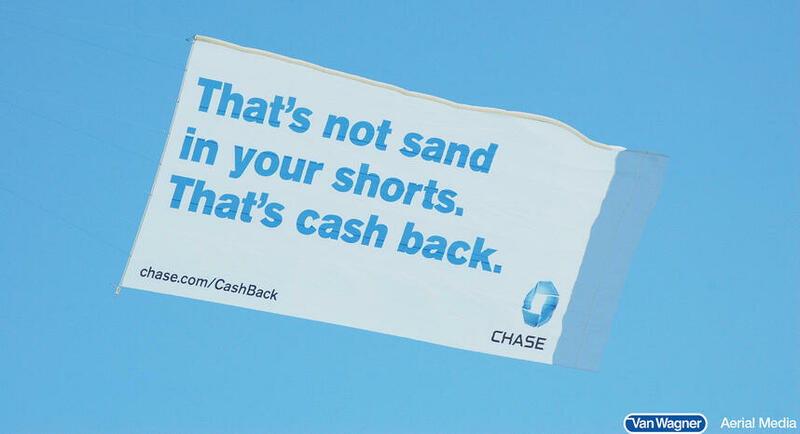 If you can, also make sure to take a look at the quality of your banner prior to flight. Ask questions like, “Do you ensure that my banner will withstand a minimum of 40 flights?” It’s important to make sure you are partnering with a reputable company and manufacturer that will give you the most for your investment. We offer all of our clients the Van Wagner Guarantee. It's our promise that each and every one of our client's campaigns will be handled safely and professionally. Van Wagner Aerial Media has over six decades of experience in the aerial advertising industry. As the only truly national aerial media company, we can answer all of your questions. Click below for a free quote and one of our highly trained aerial coordinators will get back to you as soon as possible. Good luck!